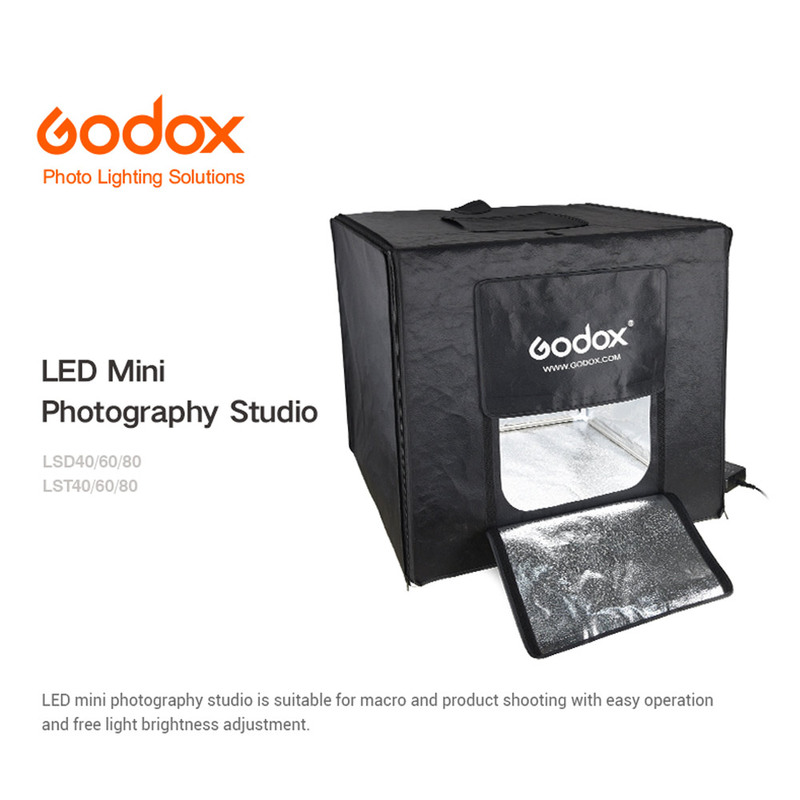 This Godox LST80 60W Triple- light LED Mini Photography Studio Light Tent is suitable for macro and product shooting with easy operation and free light brightness adjustment. 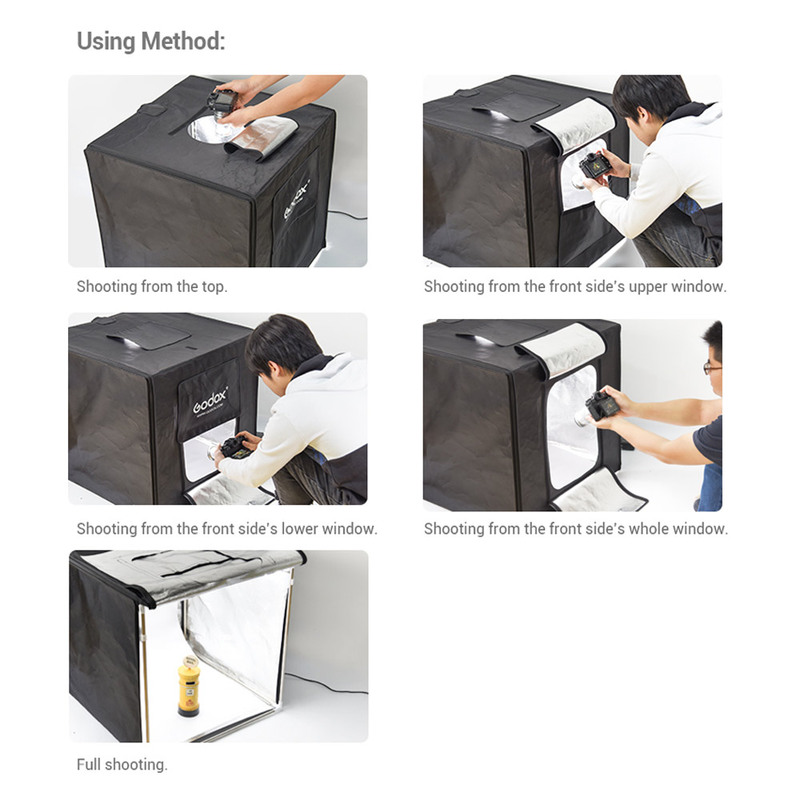 With arranged light boards and high light brightness to offer time-saving and labour-saving shooting. 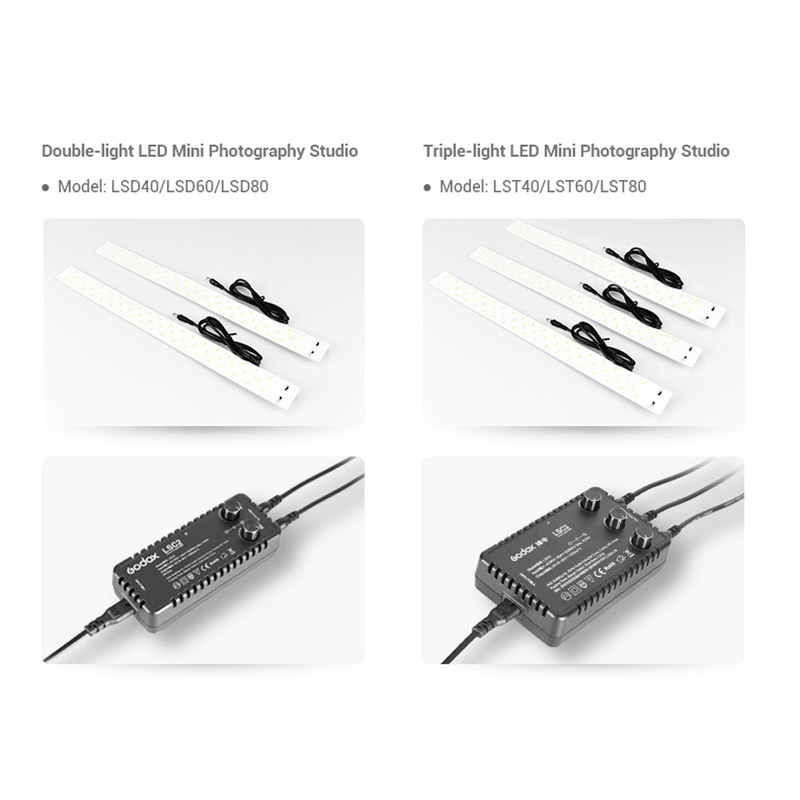 Triple lights boards whose location can be adjusted freely. 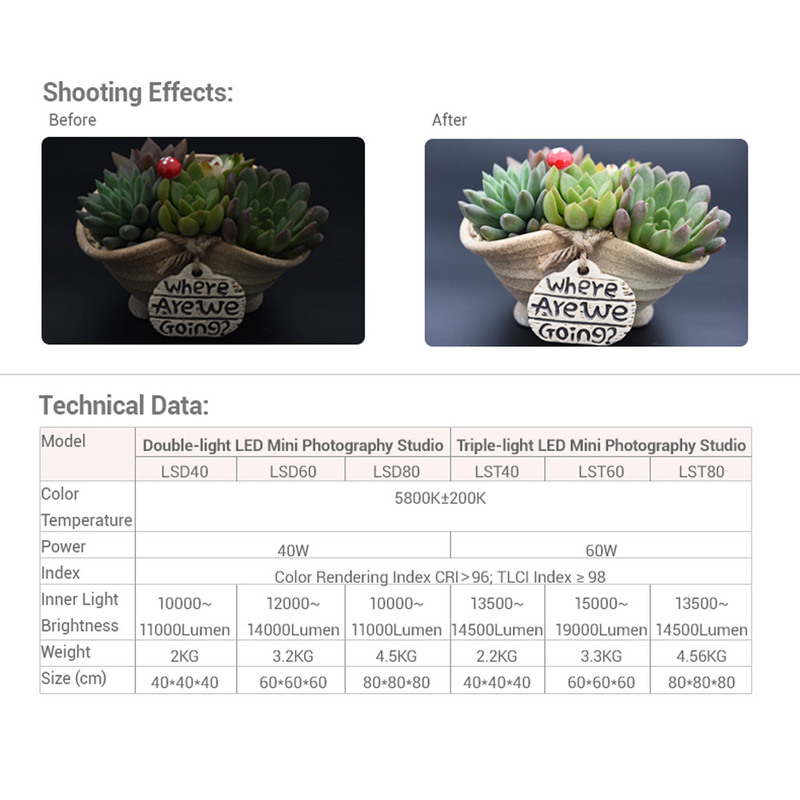 High color rendering index (CRI>96, TLCI≥98) to present the objects authentically. Light and portable, easy operation and installation. Suitable for all equipment with shooting functions. *Note: This is a locked up kit and requires assembly of the parts. 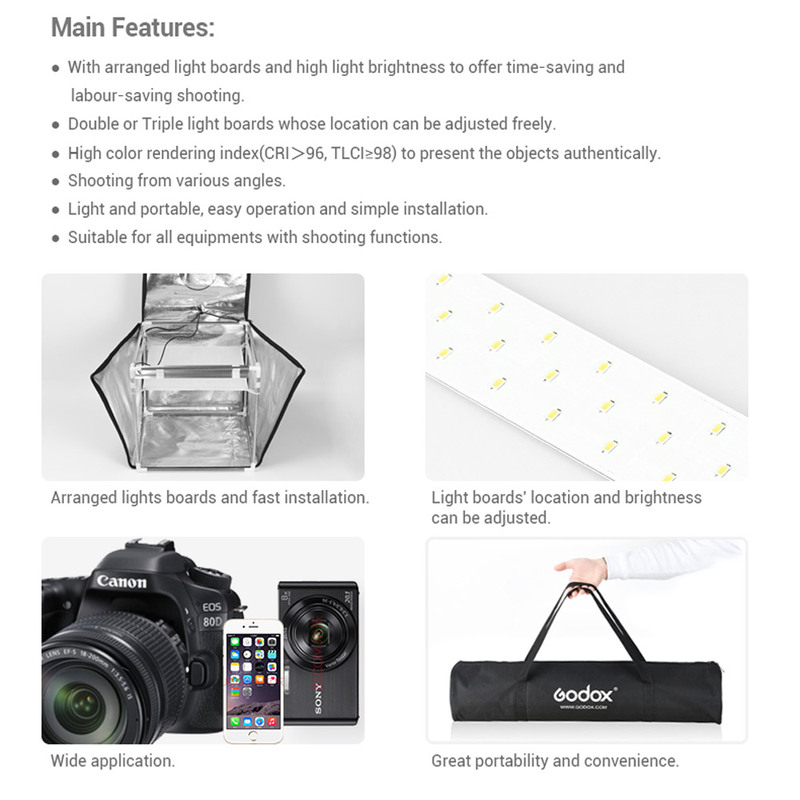 Click the button below to add the Godox LST80 60W Triple-light LED Mini Photography Studio Light Tent ( 80 x 80 x 80cm ) to your wish list.